Hi there and happy Tuesday to ya! 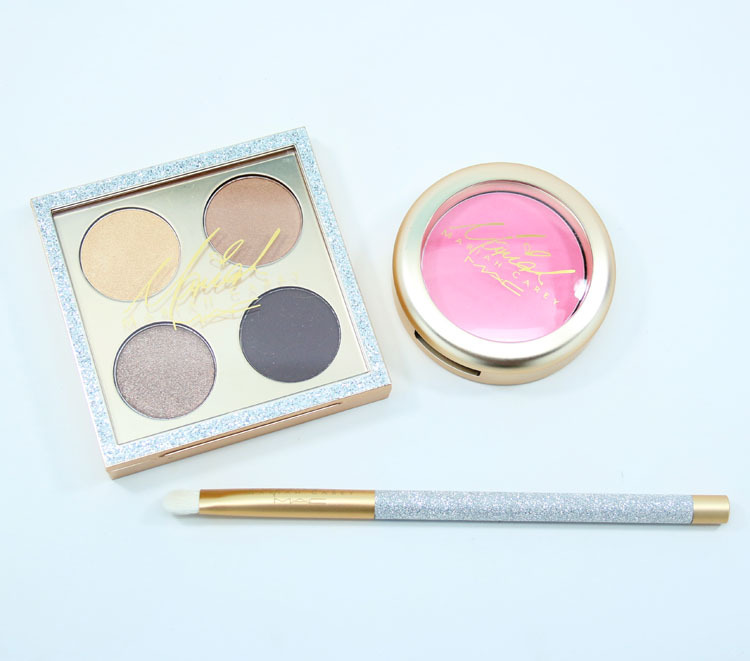 The limited edition and super gorgeous MAC Mariah Carey collection is coming out soon and I have a few pieces I wanted to share with you today. As one would expect with a Mariah Carey collection, it’s blingy, but not over the top! The packaging is gold metallic and silver glitter, and the lipsticks are imprinted with a butterfly, which I love (though I didn’t receive any samples of them to show you). The collection as a whole consists of two Eye Shadow x 4 Quads, 5 Lipsticks, 5 Lipglasses, 2 Pro Longwear Lip Pencils, 1 Liquid Eye Liner, 2 Lash sets, 1 Extra Dimension Skinfinish, 2 Powder Blushes, 1 Loose Powder and the 183 Buffer Brush and 239 Eye Shader Brush. You’ve Got Me Feeling is a light candy-colored pink matte. If you know me, you probably already know I love You’ve Got Me Feeling blush. 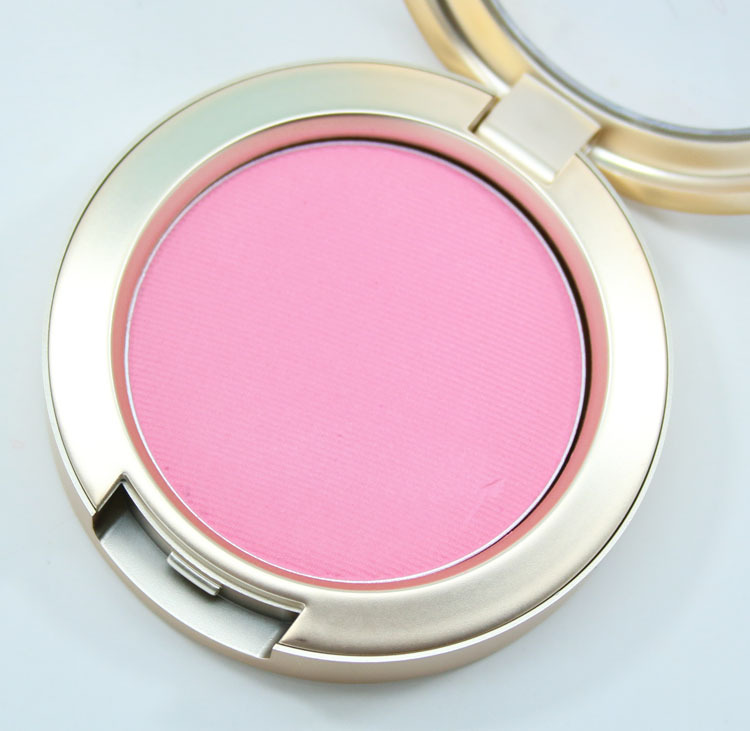 Gimmie a cool-toned candy pink blush any day and I am pleased! 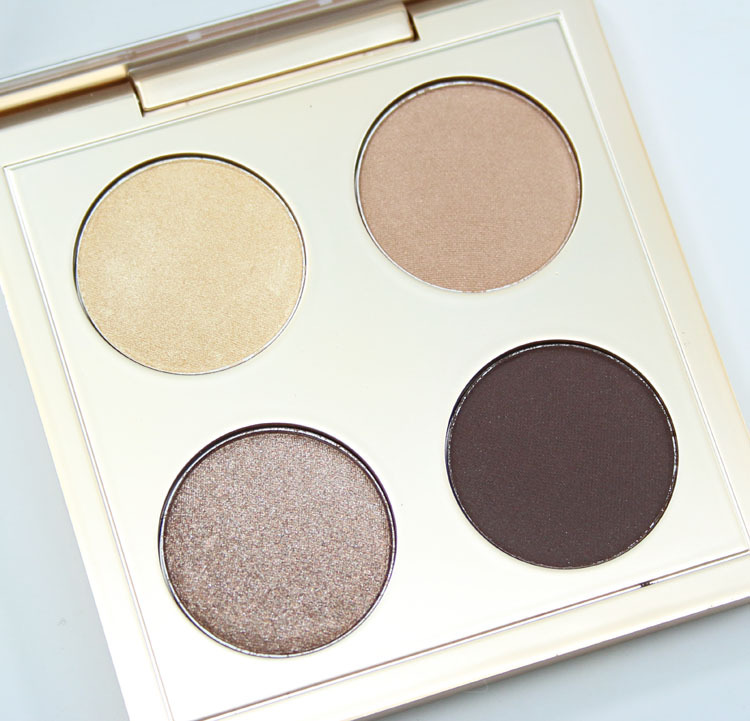 I am also really happy with the eye shadow quad. You probably also know that MAC’s quads can be very hit or miss in terms of texture and formula, but this one is a winner. The colors are really soft to the touch, blendable and saturated nicely. If you like these kinds of warm toned colors then this is a great quad. 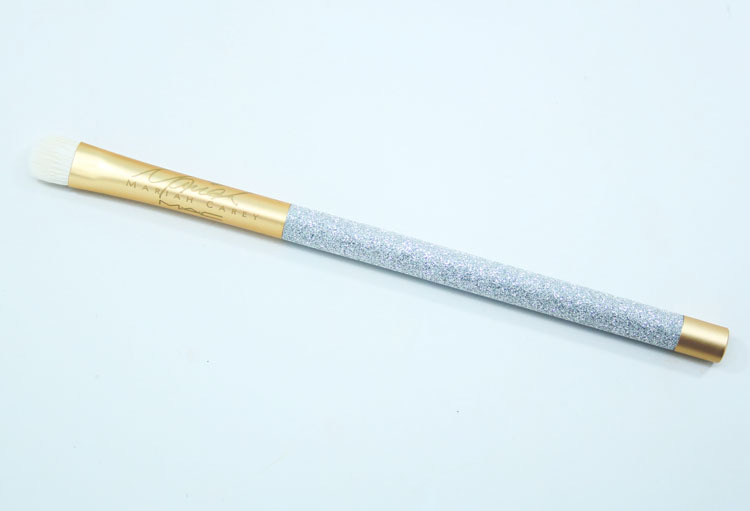 And finally the 239 brush is one of my “go-to” brushes every time I use eye shadow, and this one with the glittery handle is super cute AND works great! The rumors online are that MAC Mariah Carey will be available on the MAC site December 4th (for early access and/or obsessed members), December 8th online for everyone else, and December 15th (through January 26th) in stores. Is there anything in this collection you are salivating over? Omg yay! I have been looking forward to this collection so much, but hoping it would be decent. I want that quad and brush. I somehow don’t actually own that brush already, and now it’s sparkly? Hell yeah!!! 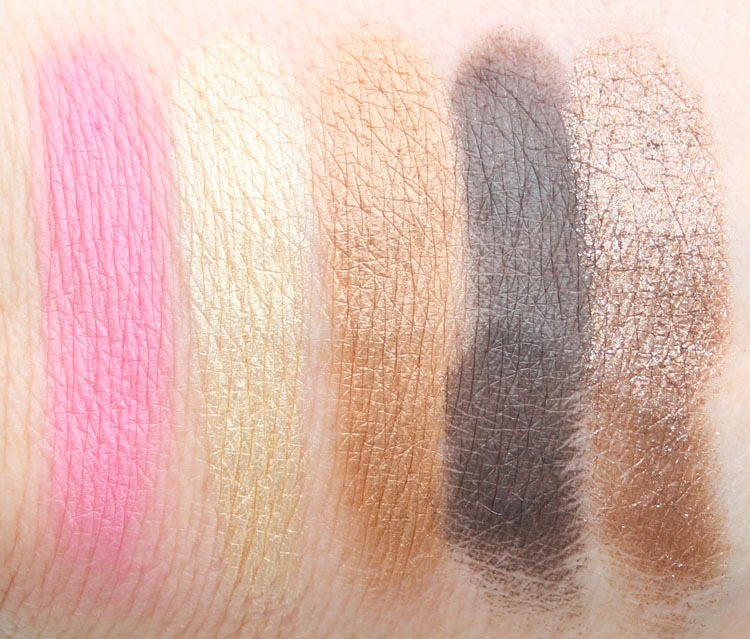 Wow this collection looks like it has perfect colors for fair skinned gals like me. I have to be careful with certain colors because they can look so dramatic on my skin tone. Thanks for sharing. I love the glitter on the brush and that eye quad is calling my name. I wasn’t a huge fan of the collection though I always love seeing frost lipsticks. Golden Petals Scattering looks so pretty. All of them looks so glam and gorg! Maybe it’s just because I’m used to MAC’s flashier stuff, but UGH, this collection looks so boring to me. Like everything looks nice, I guess, but even just the idea of a Mariah Carey collection is boring to me, and then the products confirmed it for me. Just not a fan.